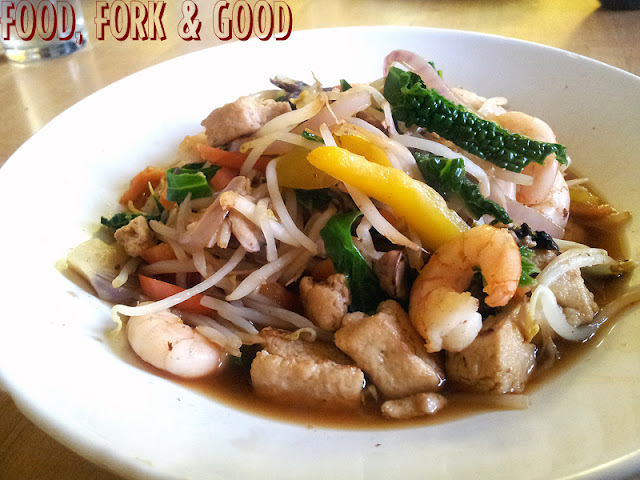 Prawn & Quorn Stir Fry in Sweet Spiced Soy Sauce - Fork and Good. ﻿I love stir fry's, they are so colourful & filling, which is always a good thing. The problem I find is taste. If you have NO sauce then it's a bit dull, if you buy a packet sauce, your looking at a good heap of sugar with your healthy meal. On a low heat, fry the quorn pieces for about 5 minutes, once cooked, set aside. In a large jug, place the soy sauce, 5 spice, honey, boiling water and mix until combined. Add the quorn pieces and leave to one side. In a large frying pan or wok, add the oil & prawns and cook on medium heat for a minute or two. Next fire up to a high heat & add all the vegetables. Cook for about 3-5 minutes. Once cooked, pour the jug containing the sauce & quorn pieces over the vegetables. Mix thoroughly and cook for a further minute. Serve immediately pouring any remaining sauce over the top. Thanks for sharing this recipe. I really want to cook this on my own because I am trying to learn on how to cook any recipe. Do you also have a Recipe for Stir Fry Sauce? I think that was the first thing that I need to know.